And anywhere you need us! Our luxury air-conditioned 8-seater minibuses are available to take you and your luggage at any time of the day or night. We use long wheel base vehicles so there is always plenty of room for that extra bikini or tennis racket for you holidays. 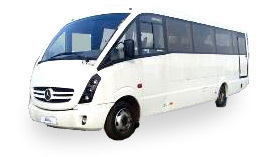 Our luxury air-conditioned 16-seater minibuses are available if you are a slightly larger group and you need to get to the airport in comfort and on time or your group wants to take a day trip out. Our luxury 35-seater coach can take large groups in comfort anywhere in the UK and even abroad. With plenty of space for luggage and large windows for sightseeing, we take real pride in getting you from A to B. 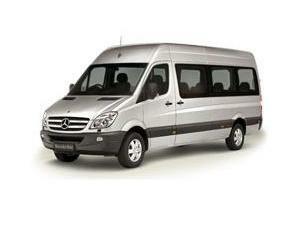 We can provide a larger minibus with driver upon request, so just contact us for a friendly chat.